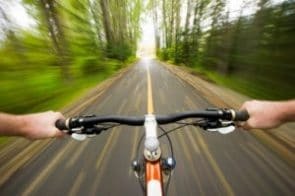 Can I claim damages if my cycling accident was caused by an object being left on the road? Any road debris can be really dangerous for a cyclist. Many other vehicles may be able to pass over debris on the road without any serious consequences (or none at all), but even the smallest piece of road debris can cause serious accidents for cyclists. Any cyclists will be able to tell you that the state of any given road surface on any given day, is a lottery. Foreign objects can be left in the road or fall onto the road as a result of the actions of another person. For example, other road users might lose a piece of their vehicle (bumper/wing mirror) and leave it in the road instead of picking it up and the Council might repair a piece of road and then accidentally leave something behind. Oil can also be deemed to be an object on the road because it has been left by another vehicle. What happens if you hit an object on the road, where you know who is responsible? The first hurdle is usually finding out who is responsible for the road debris when you start a claim for compensation for an accident caused by something lying in the road. If you can find out who is responsible for the debris, you should be able to claim for compensation in the same way you would for any other common road accident. What happens if you hit an object on the road, where you don’t know who is responsible? One of the biggest issues to consider if you hit some debris and come off your bike is identifying the person responsible. Unless someone saw the debris fall from another vehicle or saw where it originated from, you may have a hard time tracking down whoever is responsible. Where this happens, you may still have a claim with the Motor Insurer’s Bureau (MIB) under their Untraced Driver scheme as they can take the place of the insurer of a driver at fault for an accident and still pay damages. Get evidence of the accident scene, ideally through photos of the scene after it happens. Get details of any witnesses to the accident. Visit a doctor to record your injuries and get appropriate treatment as soon as possible. Make sure to document and photograph any damage to your bike, kit or any equipment before you get them repaired.